So there are a million million companies doing web design now – this one is naturally our favourites. They can do all kinds of tech work from programming in PHP and the real back end processing kind of stuff to the front end minimalist web design you are likely to encounter on a photography or wedding planning site. They can host the sites for as little £3.99 per month – yes you read that correctly – whilst others are still charging silly money for hosting, SER Ltd has actually made it clear that hosting should not break the bank. Based in Stockport, Cheshire which is near Manchester in the UK, the company was formed in 2003, so has been around long enough to warrant trust, after almost 15 years at the time of writing they are hardly classed as a “fly by night” outfit. 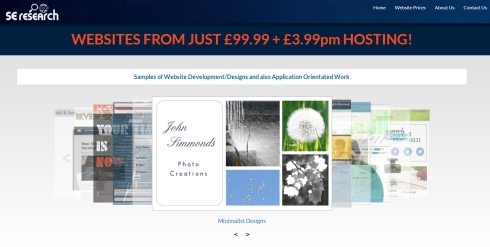 Also note that the websites which are created for £99.99 are also responsive – what does this mean? 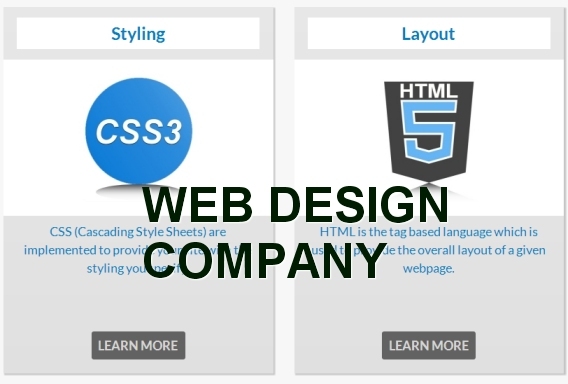 A responsive website is one which will re-size itself automatically depending on the device it is being used on. Not only does it scale columns and rows though, the technology also includes the up-scaling of fonts so that they remain readable on small screens. 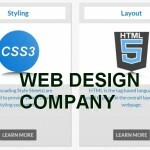 Not every web design company does this – because it is considered quite technical, but the fact is that most people now surf the internet from mobile devices so if you need a web site designing, then make sure you choose one who will take into account the mobile responsiveness in their design. What is AJAX and how does it relate to my website? On their site you will notice that there is a mention of ajax at the bottom. Well this is quite special – what SER Ltd do is they write the site so that it doesn’t keep refreshing the page all the time which is frustrating to users. With ajax, if the site is coded correctly, the visitor can perform tasks and the browser will send messages to the server without re loading the page. It sends the message, for example the name and address input fields, and waits for the server to respond with “thats ok” or “validation failed”. The programming will detect the message and display a response according to what was returned. This is fantastic for users because it means their screens aren’t scrolling all over the place and flashing confusing messages up. Instead – the response is almost always instant. So if you are a small company based in Stockport or Cheshire or Manchester even in the UK, then why not visit http://www.serlimited-uk.co.uk and see what they have there – there is something for everyone from e-commerce to basic information sites. When it comes to graphics they are purchased from a site, so there is no worry about copyright etc. Images are bought in for as little as £15 each – but naturally you can use your own images, icons and photography if you have them – for example you may already have a library of product images. Sometimes people get left behind on the net, so at such a low price this represents the ideal opportunity to upgrade from a dusty old year 2000 site to a shining new mobile responsive masterpiece you can be proud to show you clients for years to come! It’s quite clear that a lot of effort has gone into the creation of the actual sales site for SE Research Ltd – if you still are not sure what scaling means to a site, go over there and position your cursor over the edge of your browser (chrome, ie or firefox) and right click and hold the mouse to shrink the viewing area. Watch carefully as the window shrinks and you will see all the items on the web page shuffling about and re-positioning themselves in accordance to the new dimensions of the screen. Also give this a try on a mobile phone or a tablet to get a realistic feel for what actually goes on. You can then try this on another site which is not configured correctly, you will see the difference immediately. - Been Around Websites for 20 years.